Last October, I had the great idea to bridge my love of running with my pursuit to qualify for the Boston Marathon … or the roundabout journey I’d be taking to get there. I love talking about running, fitness, healthy lifestyle and nutrition and I noticed that my sharing of these topics on my personal Facebook page wasn’t getting a lot of likes (frankly, I knew most people were annoyed by my posts). So I decided to start blogging and instagramming as “jessrunsblessed.” With no idea what I was doing really, I just learned as I went along and in the process, learned a lot. Whether you have lofty goals for your Instagram account or want to keep it small and private, getting involved in the running community on Instagram has benefits far beyond being “instafamous.” You can build lasting friendships, network with companies for sponsorship/ambassadorship and other business opportunities, increase your running knowledge, find new workouts and grow your creative/photography skills. 1. Your name – Choosing your name is important. Yes, you can change it later on Instagram but that can confuse people and for branding purposes, complicate things. So take time to choose your name wisely and think about what your name conveys about you. Are you on a mission to better your health? Improve your fitness? Chronicle your running journey? Lose weight? Or is this just about your daily activity, not so much goal focused? No matter what,make it uniquely about you because you have to make your account DIFFERENT than the hundreds of thousands that already exist. Do you have a side job selling something? DO NOT make your account name about that or people will think that’s all your about. People don’t want to be sold, no matter if they like your products or not. Don’t get me wrong, I’m all for people’s Friday fives and learning about runner’s favorite products but make your Instagram about your journey. (I am speaking to individuals with personal accounts, not companies who would indeed have a product page, and thus have an Instagram name containing a product). 2. Your photos – Your photos have to be good quality and showcase different, but relevant things. If you are a runner showcasing your dog or your children, you aren’t going to capture the right audience. (The occasional personal pic is fine but you need to consider your niche). On the flip side, the same watch photo or treadmill pic isn’t going to be too interesting, either. Peruse common tags and see the top pics. Which ones are most popular and which ones draw your eye in? They don’t need to be taken with a Gopro (though I love mine) or professional camera but they need to be taken in good lighting and be vivid! Utilize sunshine when outdoors and the sunlight by windows when taking inside photos. And use things like a yoga mat or marble tile as backdrops if you are photographing food or sneakers or stills of “things” for interesting texture. 3. Comments – Don’t just like photos; make comments on photos that interest you (hopefully people that you follow)! Conversely, how do you get comments on your photos? A few ways. Good photos, good tags (addressed in #4) and relationships with other instagrammers (addressed in #8)! So start working on those relationships with other instagrammers you find inspiring via commenting and liking their photos (you don’t have to comment or like everything but get noticed by them). And don’t unfollow as soon as someone follows you. That’s an “I’m too big for my britches” move other instagrammers don’t like. Understand that some of the larger users may not see your likes and comments until you do it repeatedly. Building a relationship with users that have tens of thousands of followers takes time and effort (and truly famous actors and athletes sometimes have managers that handle their social media, sorry to break it to you). Tagging is addressed in #4. 4. Tagging of posts – this is huge! Go look at big Instagram runner accounts. See what they tag. You can’t copy and paste in Instagram unfortunately but you can screen shot and utilize the ones that will work for you. You want to tag some general like “runner”, “running,” “marathoner,” if those apply to your post but you also want to tag running feature pages that might notice your post and repost your photo. There are about 30+ of these and they are awesome for exposure. Even the smallest ones… think about it, if they repost you, that’s more people seeing your name. And all feature pages started small like us all. So don’t discount any of them. Also, tag companies! If you are wearing shoes or clothes by companies that have Instagram accounts, tag them. You never know if they will pick up your picture for their pages. Same for fitness and running magazines. Tag them! I tagged Strong Fitness Magazine repeatedly and in March of this year they contacted me about one of my posts, asking me to be in their magazine! At the time, I only had 5,000 followers. I tagged NY Based running store JackRabbit and they not only reposted me, but reached out to me! So it can and does happen!!! The one thing to know is there is a 30 tag maximum so select your tags wisely. 5. Timing of posts – Consider your time zone. Are you eastern time zone? If you post at 4 am when you are headed out for your morning run will anyone be awake to see it? Conversely on the west coast at midnight is anyone on the East Coast or Central time zone still awake… Often you have to play with what works best but after a month of working with a specific time, you can often see a pattern. I know that 7 am CST and 6 PM CST are good times for me. But sometimes I change it up and 11 pm works! So routine isn’t always best but pay attention to patterns and if you notice a lull in likes or engagement, change up your timing. It can’t hurt! 6. Consistency of posts – don’t let Instagram rule your life and ruin your REAL life. But also don’t be finicky. If you are a daily poster, your following will become accustomed to daily posts. If you are a 3x a week poster, your following will get used to that. Do NOT post 4 posts back to back. This is annoying, even to the running community. 7. Patience – getting involved in the Instagram running community takes time. It requires commitment on your part and investment. You can’t expect to grow your account and your presence in a month or two. Keep plugging away and keep asking questions to other key Instagram players! They are everywhere and typically don’t mind being asked. 8. Build relationships with 20-30 other instagrammers through daily communication – This kind of goes along with replying to comments but requires you scrolling through your feed and perhaps turning on notification for 20-30 of your “faves” so that you can be sure to comment on their photos daily. What this does is maintains and grows your friendships and keeps you up to date with their training and activity. Relationships are vital for Instagram success. You’ll find as you grow that that 20-30 grows to 40-50, out of all the people you follow, and that these core people are the ones who introduce others to you and where you discover others, as well. They are also the same people who tag you for contests and new product info, etc. Relationships are so important! 9. Do a challenge (alone or with another instagrammer) after a few months – a great way to get involved in the running community after establishing yourself is to conduct a challenge. You can do one on your own if you think your following is big enough or ask to partner up with another instagrammer. Think about what you excel at that other runners would be interested in. An ab challenge? A yoga challenge? A run streak? A daily stretching challenge? Put parameters around it and ask people to join and tag you (and the partner you’re doing it with, perhaps) and give the challenge a name. Every day that people do it, have them tag the challenge and offer a prize for a winner you randomly select at the end of the challenge. These typically go over well! (I hosted one back in November). 10. Giveaways – if and when you have partnerships with companies, ask for free product in exchange for exposure on your Instagram page while you run a giveaway. The giveaway can be for a challenge winner or for hitting an Instagram milestone (1,000, 5,000, 10,000 etc followers). You may get shot down but if you don’t ask, you won’t receive. You can either use a unique hashtag for the giveaway and use a website like woobox, wishpond, or random picker to randomly draw a winner or you can enter the names in a box old school style and video yourself picking a winner. Check other giveaways on Instagram for guidelines for running yours. (hint search the tag #giveaway). 11. Apply for ambassadorships/sponsorships – this is mutually beneficial. You receive products or discounts off products you already wear in exchange for posting or blogging about those things on social media. There are soooo many companies offering ambassadorships. Start with what you personally wear and google if they offer social media ambassadorships. If you don’t wear it, you likely won’t get accepted. Many major shoe companies offer sponsorship/ambassadorships in exchange for wearing their singlet or shoes during racing. I can think of Hoka, Skora, Pearl Izumi, Altra, Zoot, TopoAthletic, La Sportiva, ON shoes to name a few. 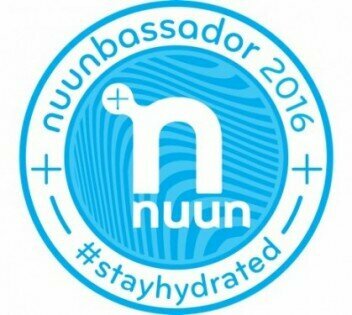 Other companies that offer some type of non-elite ambassadorship are: Garmin,Momentum Jewelry, Honey Stinger, Sweat Pink, Fitfluential, Tape Kinetics, Nuun Hydration, Donajo Fitwear, Lululemon, Paragon, Athleta, Bioskin, Bibrave, Headsweats, Nuttzo, Active.com, SPIbelt, Orange Mud, CLIF Bar, Fit Crunch Bar, Designer Protein, CEP compression, Pro compression, Zensah, to name a few okay a lot. It never hurts to apply!!! Just be sure you can commit to those that accept you. Applications are usually accepted between October and December for most companies. 12. Racing and Volunteering – it’s important to showcase your involvement with your local race community on Instagram. Not only will you network in real life but you will be able to connect with those people on Instagram! And those people are runners who actually know you! Not just that … other instagrammers love seeing race photos. Good, bad, funny, or tragic, we can all identify. And we love seeing each other lend a helping hand on the volunteer side. No matter your race times, we love rooting for one another!!! We wait in anticipation of your upcoming race! We applaud your PR and cry with you if you have a poor race. That’s what happens with relationships. Oh and if you want a partnership with a company, they usually like you to race a little bit. 13. Publicize your Instagram on your blog (if applicable) and other social media outlets – if you have a blog, post about your Instagram account and ask people to follow! If you have personal social media accounts, only do it once, but request friends and family who are interested to follow you on your running specific IG account, as well. A few weeks after you get started, have a friend plug for you on their social media, if they will! 14. Don’t disappear! – If and when you are injured or are going through “off season”, don’t disappear from Instagram! Take it back to your throwbacks or post pics of what you are able to do in the meantime. Your instafriends care! Do expect some awkwardness from your “real life” friends. You post your dreams, aspirations and a lot of things on your IG that they might not know about or feel comfortable talking about with you. IG can be like a journal for you because let’s honestly, most IG followers are likely people with whom you have relationships with over the internet so it’s a safe outlet. Your don’t talk about that stuff on a daily basis to your “real friends,” proabably and it may be uncomfortable. Also, let’s face it, your square world probably has lots of pictures of your body. Many friends may think that is narcissistic or vain, or disagree with the idea of posting body photos on the world wide web. People are entitled to their opinions and true friends know that this IG world isn’t your entire world and that there is a lot more to you than training, running and selfies. So expect it and don’t fret about it. Are you up and running yet? Running on the Instagram Running Community, that is? If not, hopefully these tips will help! I’d love to know what you think or if you have anything to add. I love this post, Jess! I always wondered how people gained so many followers (aside from buying them or the shady follow/unfollow tactic!). There are a ton of great pointers here and I’m going to start working on my brand a little more. When I first started running a few years ago, I had 200-300 followers. Even then I wasn’t that active on IG. It wasn’t until earlier this year that I started to get active and now I’m just shy of 2,000 followers! You’re definitely one of the most inspiring an influential running IGers/Bloggers in the community and I’m really glad we connected! Thanks, Jonathan! My IG growth definitely took me by surprise and definitely catapulted this past spring! I didn’t ask for it or expect it but I think people see me as a “regular” attainable runner. Sometimes that’s less intimidating than the elites and super fast people. Not discounting myself but when people are searching for inspiration, perhaps they stumble upon me and think, “oh, I could do that!” Ha!!! I’m totally okay with that! You’re killing it, congrats! Love your blog posts, too! These are great tips for anyone on Instagram! Love them all! Love these tips! They are great for everyone!! Your insta is one of my faves!! Love! Nice post about insta gram. i see so many of these and always how they have so many followers. Something I am interested in doing. You mention some good things to try. I need to creat new IG account and not use personal one is first step. Great stuff here Jess! Thanks for sharing and for promoting the running community as well as you do! Thanks for the great post! I hadn’t heard some of these tips, and I didn’t know so many companies had non elite ambassador programs. Great post Jess. These are great suggestions and I will implement some of those right away. I always look forward to your posts. What a great post full of awesome Insta info! Your blog is great and I follow you on IG. Thanks for sharing!